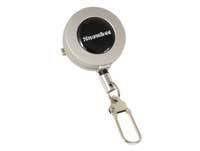 A simple but essential accessory to keep your spare leaders & flies in one place and ready to hand. An ethafoam Keeper Patch with 22 slits for flies, plus 10 fine slits down each side, to securely hold wound on leaders, ready for use. Fitted with a simple clip at the top, to attach to a vest pocket flap, but also comes with a plastic covered wire cord, to attach to a D-Ring. Two new Magnetic Net Releases. 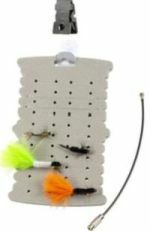 The smaller model has a magnet strength of 1.5kg, so is ideal for small trout nets worn on your back. The larger model has a magnet strength of an impressive 4kg, so is ideal for larger Sea-Trout or even smaller Salmon nets. Both come with split rings for attachment and an elasticated cord to keep you connected. A top quality Zinger with a satin finish alloy case. 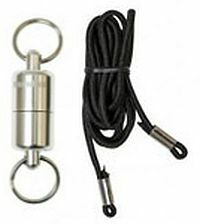 Fitted with an 18" plastic covered wire cord and a Stainless Steel accessory clip. Attached with a sturdy safety pin. 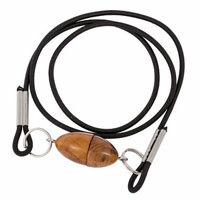 A new double Zinger fitted with two 18 strong braided cords, with swivel ends and stainless steel accessory clips. Attached with a sturdy safety pin. 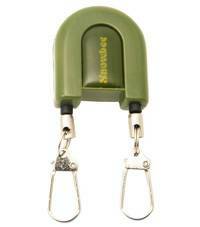 Snowbee's S-Hooks are one of those indispensable accessories that youll wonder how you ever did without! The double carabiner principle, allows just about anything to be attached to anything! Use the clips as the ultimate wader gravel guard clip  far better than a lacing hook and guaranteed never to come undone. Use the clips to attach all manor of accessories to fly vest or wading jacket D-rings. Made from high strength spring alloy steel, with a hard, black outer finish electrically applied to ensure corrosion resistance. Two novel products providing everything a fly fisher could need. 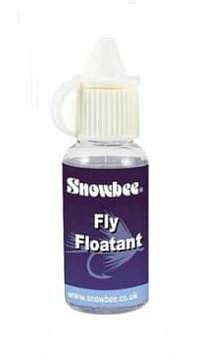 Our new fly floatant is based on an old favourite formula, with a few modern tweaks, to produce what is undoubtedly the best fly floatant, we have ever used! A single application prevents hackles getting waterlogged and keep dries floating high. Our new Tippet Sinkant breaks the surface tension and allows even the lightest leader tippets to cut quickly through the surface film. 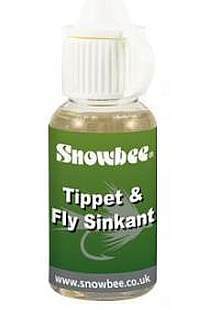 Equally effective on sub-surface flies to get them down fast.